WARNING! Depending on user’s profile, InViTo allows different options on the visibility and editing of projects. Check here to know the possible options. 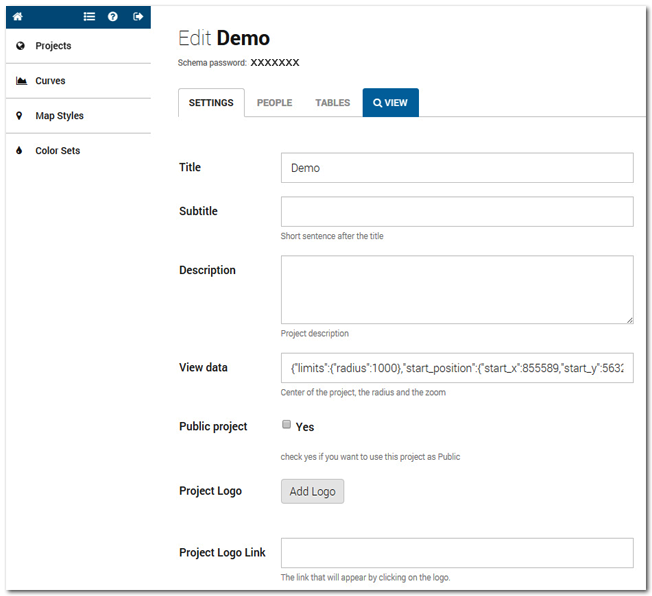 If you are a Project Advisor or a Project Contributor (logged-in user) continue reading Section 2 to discover the possibilities for editing and customising projects. Otherwise, skip to Section 3 and discover how explore data. from the InViTo website, click on “My Projects” menu. from the data explorer window, clicking on the project list icon. Arrow icon: link to the home page of Urban Toolbox. Log section: here you can see the last days of InViTo logs.